... and I've never been so happy to be wrong. AH HA! We were wise to your tricks! This is awesome either way! Best way to add him at this point would be if he was available to play after winning campaign once. Also don't you think it iss weird that we have playable 11 walrords instead of 10 or 12? Even numbers usually look better. It would be better if he was secret warlord but on the othere hand trailer is so cool. Awesome, he has the greatest trailer too. Can't wait to slap fools with Big Dong. Will most likely be my 2nd play. looks great. I'm gonna rush to unlock him. Now I have to choose between Cao Cao, Liu Bei and Gongsun Zan to be my first. So is Diao Chan a character or not? Looking forward to see how CA have handled one of the four great beauties of ancient China, fictional or otherwise. Seems like she might be. His Warlord blog states that depending on what decisions you make in his Dilemma chain, Dong Zhou can marry her himself (but cause a rift with Lu Bu) or give her over to Lu Bu (causing him to stay loyal), so I'm assuming that she'll become a normal character and married to one of them once you complete that chain. Awesome trailer, loved the music! Good to see that dong zhuo is one of the options, although behind a unlock. Dong Zhuo looks like a big chaos dwarf. Still at least it means that Lu Bu can be initially playable after a campaign unlock. Now CA, give us the full roster. I wonder if there will be some kind of penalty if the player chooses the give up Diao Chan in order to keep Lu Bu loyal (like maybe a large cost in intimidation or something). So that its not too easy to just click one option and keep hold of one of the strongest characters at the start of the game. There we go! I loved that laugh at the end! btw.I love Dong Zhuo's Evil Laugh at the end! 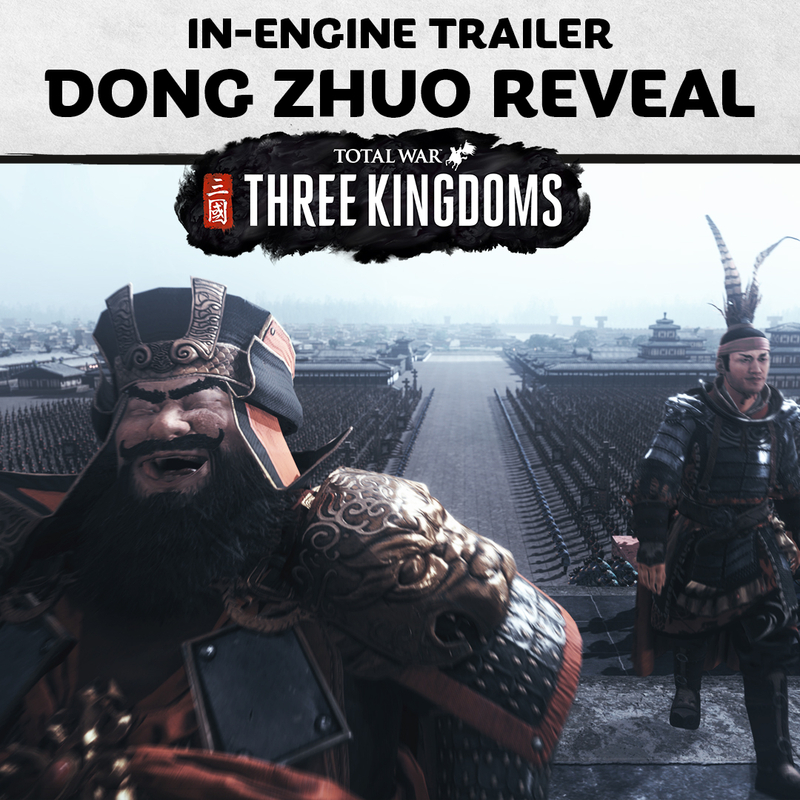 Though i would've loved to see Dong Zhuo's 3 other notable characters, Zhang Liao, Li Ru, and Guo Si, standing behind him in the trailer. I was wondering that myself. There wasn't any mention of the outcome or anything about a penalty for Big D allowing Lu Bu to marry her. A big hit (or possibly a permanent decrease) to his Intimidation seems like the obvious one; you get to keep the most powerful warrior in the realm on your side, but your other subordinates will think you weak for it. Who knows, we'll just have to play and see! Super!!! Glad to see big dong playable! 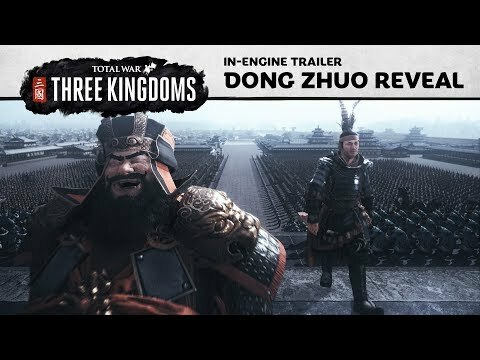 Looks like Dong Zhuo and Lu Bu are 'leaning on the fourth wall', and laughing at all the people who thought that they would be unplayable in Total War: Three Kingdoms. It's possible that CA had wanted to keep Dong Zhuo unlock secret, as they did with other unlockable characters and factions in the past, but because many players was concerned about Dong Zhuo, so CA had decided to reveal that Dong Zhuo can be unlocked. 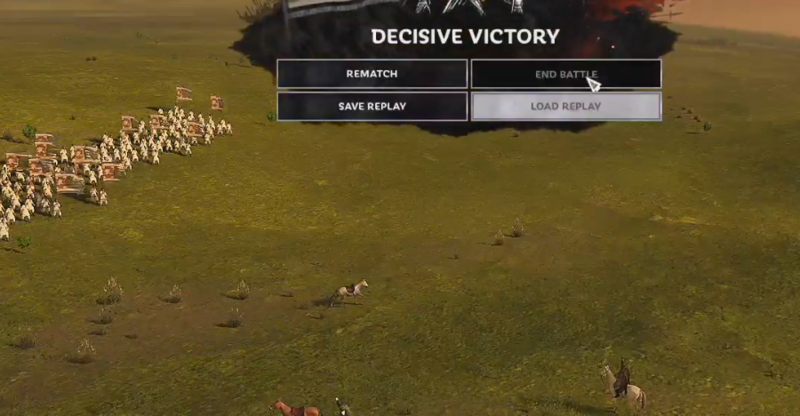 Yes, you can rematch every battle except for replays and multiplayer. It's the first time that CA mention an storyline differences between romance and records modes. I think it will really one of the best total wars at the time. Maybe some starting bugs, but it looks a lot more polished than the old total wars at release. I'm really happy about dong. But i will play him after the blood dlc. At first wei, wu and shu. Than the "evil".